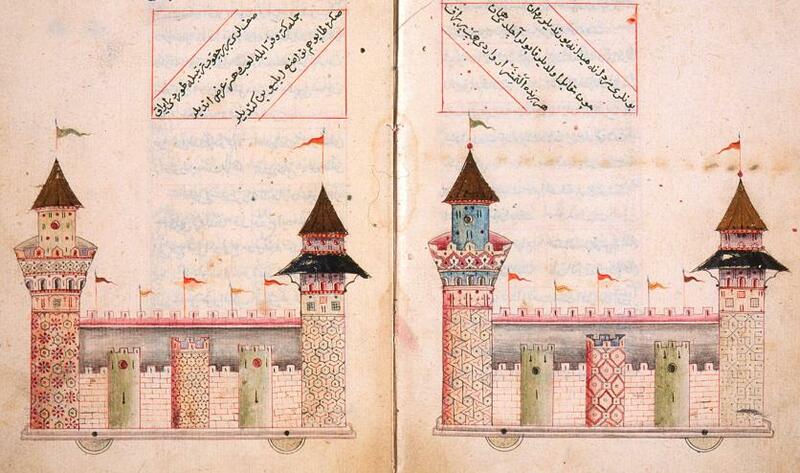 Figure 1: The paper fortresses of Matrakçi depicted in his book Tuhfat al-Ghuzat (Süleymaniye Library, Esad Efendi, MS 2206). 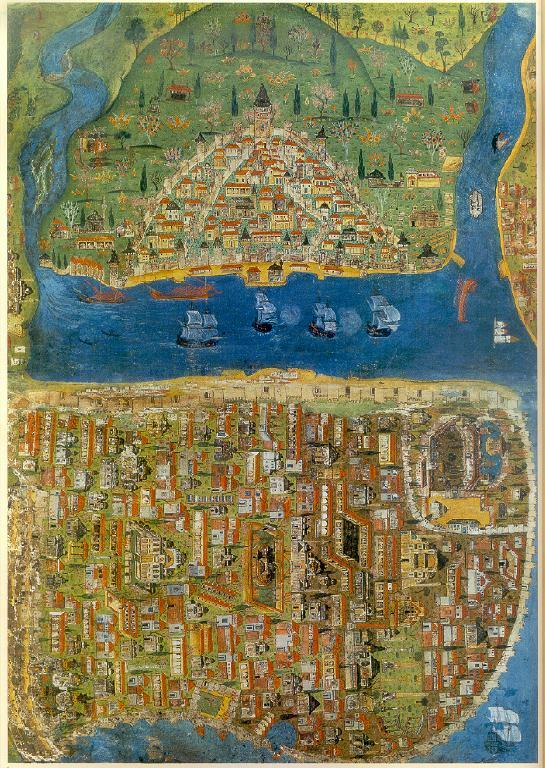 Figure 2: Matrakçi's plan of Baghdad showing the city plan with its great walls, buildings and streets (Topkapi collection). Reproduced on the website of Bilkent University. (Source). 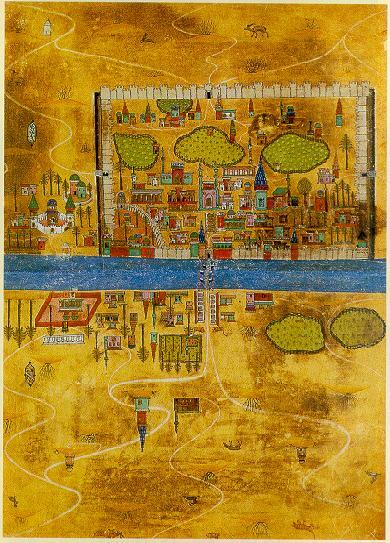 Figure 3: Plan of Tabriz, Iran (from Matrakçi's Beyân-i Menâzil-i Sefer-i ‘Irakeyn). (Source). 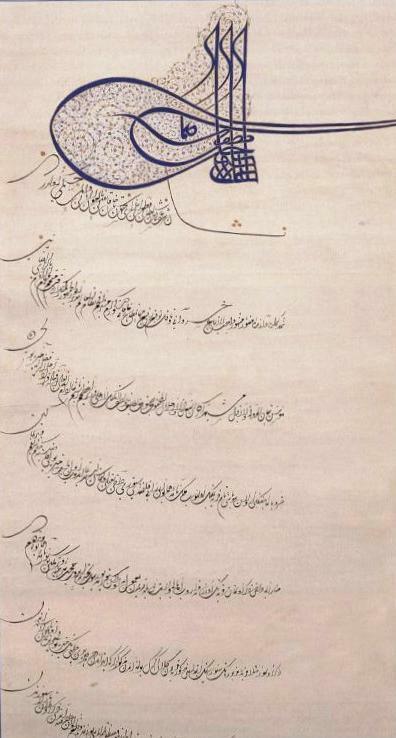 In 1520, Matrakçi began his career as a historian by making the first translation from Arabic into Turkish of al-Tabarî's famous history Târih al-Rasûl wa al-Mulûk. The title of this translation was Madjma' al-tawârikh, and the manuscript comprises three huge volumes. He also wrote a Turkish supplement to his translation as the fourth volume of the work. This includes the history of the Ottomans from their beginning to the year of 1551. But we have manuscripts from this period dealing only with the time of Bâyezid II, Selim I and Süleyman I, such as Ta'rikh-i Sultan Bâyezid wa-Sultan Selim, the illuminated Ta'rikh-i Sultan Selim, the illuminated Ta'rikh Sultan Bayezid, the illuminated Bayân-i Manâzil-i Safar-i Iraqayn-i Sultan Süleyman Khan. (also known as Majmua'-i Manâzil) (1537), Süleyman-nâme (between years 1520-1537), Fath-nâme-i Karabughdan (1538), the illuminated Ta'rikh-i Feth-i Shiklos wa Estergon wa Istolnibelgrad (contain years between 1542-1543), and the second part of the Suleymân-nâme (contains years between 1543-51). Finally, in 1550, with the encouragement of Rüstem Pasha, the famous Grand Vizier of Süleyman, he produced a second version of al-Tabarî's history, the Djâmi' al-tawârikh, by abridging the original. The part of the one large volume of Djâmi' al-tawârikh, containing the events of the reign of Süleyman up to 1561, is attributed to Rüstem Pasha himself. 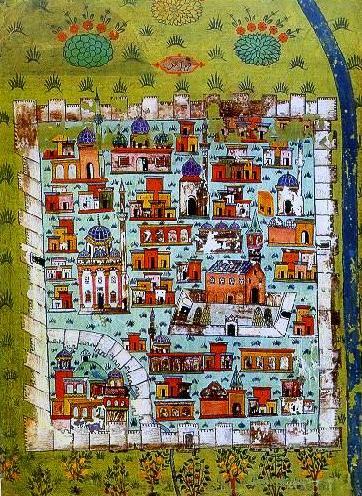 Figure 4: City of Diyarbakir illumination (from Matrakçi's Beyân-i Menâzil-i Sefer-i ‘Irakeyn). Matrakçi wrote his first book, Jamâl al-Kuttâb wa Kamâl al-Hussâb in 1517 and dedicated it to Sultan Selim I (1512-1520). His second book entitled Umdat al-Hussab fi'l-furûz al-mukaddar bi'l-kulliyat written in 1533, was an expanded version of the first. Figure 5: Süleyman the Magnificent Tughra and one of his decrees written in Jeli Divani style. Museum of Turkish and Islamic Arts, Istanbul. Photo taken from Muhittin Serin's book Hat Sanati ve Meshur Hattalar by his permission. 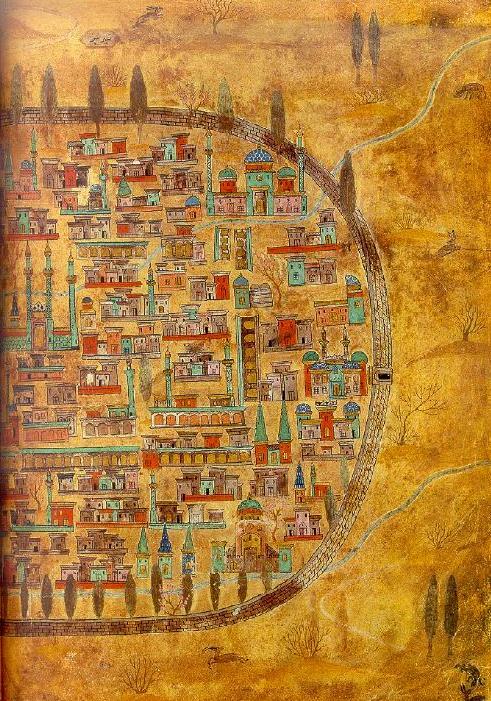 Figure 6: City of Istanbul and Develi illumination from Matrakçi's Beyân-i Menâzil-i Sefer-i ‘Irakeyn. (Source). 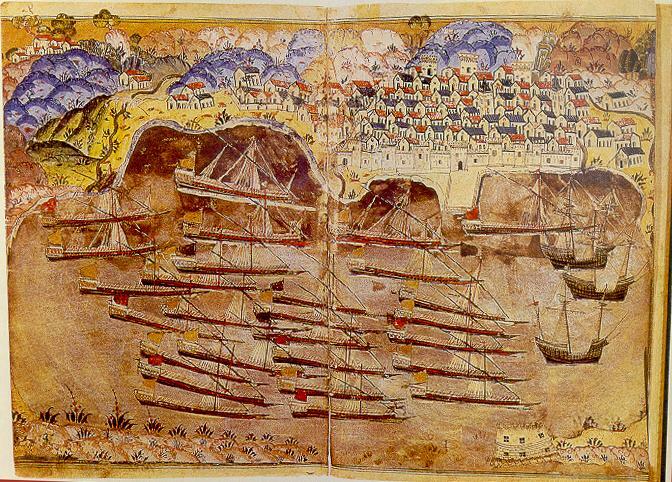 Figure 7: Ottoman fleet in the French port Toulon in 1543 (from Matrakçi's Beyân-i Menâzil-i Sefer-i ‘Irakeyn). Reproduced on the website of Bilkent University . (Source). Matrakçi Nasuh, Bayân-i Manâzil-i Safar-i Irakayn-i Sultan Süleyman Hân, Istanbul University Library, MS TY 5964. Nasuh b. Abdullah Matrakçi Nasuh, Beyan-i menazil-i sefer-i Irakeyn-i Sultan Süleyman Han, published by Hüseyin G. Yurdaydin, Ankara: Türk Tarih Kurumu, 1976. Matrakçi Nasuh, Tuhfat al-Ghuzât, Süleymaniye Library, Esad Efendi collection, MS 2206. Matrakçi Nasuh, Umdat al-Hussab, Nuruosmaniye Library, MS 2080/2. Matrakçi Nasuh, Jamâl al-Kuttâb wa Kamâl al-Hussab, Istanbul University Library, MS TY 2719. Adivar, A., Osmanli Türklerinde Ilim, Istanbul: Remzi Kitabevi, pp. 95-98, Appendix 26. Atil, Esin, "Art and Architecture". In History of the Ottoman State, Society and Civilization, II, Istanbul: IRCICA, 2002, pp. 617-618. Bolay, Süleyman Hayri, "The Ottoman Thought in the Classical Age and the Tehafüt Ambition in the Ottomans". In The Great Ottoman-Turkish Civilization, Ankara: Yeni Türkiye Yayinlari, 2000, volume III, pp. 5-23. Fazlioglu, Ihsan, "Osmanli Klasik Muhasebe Matematik Eserleri Üzerine Bir degerlendirme." TALID, I (1) 2003, pp. 356-8. Flemming, B., Die Türkische Handshriften. Wiesbaden, 1968, p. 118. 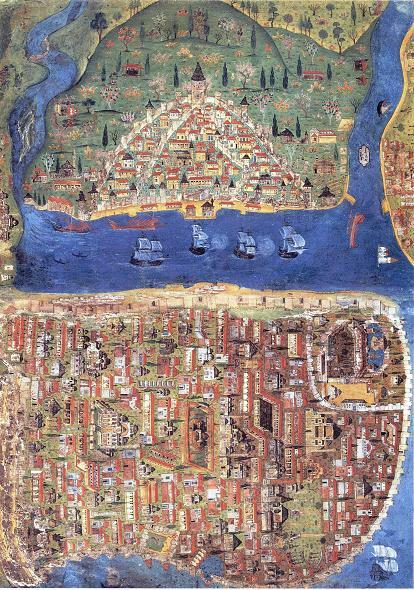 Goodrich, Thomas D., "Old Maps in the Library of Topkapi Palace in Istanbul", Imago Mundi, vol. 45. (1993), pp. 120-133. Grabar, Oleg, "An Exhibition of High Ottoman Art". Muqarnas, vol. 6 (1989), pp. 1-11. Habib, Khatt ve khattâtîn. Istanbul, 1928, p. 159. History of Geography Literature during the Ottoman Period. Edited by Ekmeleddin Ihsanoglu et al., Istanbul: IRCICA, 2000, I, 42-45. History of Mathematical Literature during the Ottoman Period. Edited by Ekmeleddin Ihsanoglu et al., Istanbul: IRCICA, 1999, I, 68-73. History of Military Art and Science Literature During the Ottoman Period. Edited by. Ekmeleddin Ihsanoglu et al., Istanbul: IRCICA, 2004, I, 10-11. Ihsanoglu, Ekmeleddin, "The Ottoman Scientific-Scholarly Literature". In History of the Ottoman State, Society and Civilization, II, Istanbul: IRCICA, 2002, pp. 543, 567-568. Johnston, Norman J., "The Urban World of the Matraki Manuscript", Journal of Near Eastern Studies, vol. 30, No. 3. (July 1971), pp. 159-176. Kara, I., "Nasuh Matrakçi", Türk Dili ve Edebiyati Ansiklopedisi, Devirler, isimler, terimler. Istanbul: Dergah Yayinlari, 1977, VI, pp. 527-8. Mahir, Banu-Ihsan Fazlioglu, "Nasuh (Matrakçi)", Yasamlari ve Yapitlariyla Osmanlilar Ansiklopedisi. Istanbul: YKB, 1999, II, 350-351. Matrakçi Nasuh Bey b. Abdulah (Karagöz) al-Silahi, Beyân-i Menâzil-i Sefer-i Irakeyn-i sultan süleyman han. Published by H. G. Yurdaydin. Ankara, 1976. Mustakimzâde, Tuhfe-i Hattatîn. Istanbul, 1928, p. 568. Soucek, S., "Islamic Charting in the Mediterranean", in The History of Cartography: Cartography in the Traditional Islamic and South Asian Societies, edited by J. B. Harley and David Woodward. Chicago: The University of Chicago, 1992, pp. 235-253. Taeschner, Franz, "The Itinerary of the First Persian Campaign of Sultan Süleyman, 1534-36, According to Nasuh al-Matraki", Imago Mundi, vol. 13 (1956), pp. 53-55. Yurdaydin, H. G., "An Ottoman Historian of the XVIth Century: Nasuh al-Matrakî and his Beyân-i Menâzil-i Sefer-i ‘Irakeyn and its Importance for some Iraki Cities", Turcica, vii (1975), pp. 179-87. Yurdaydin, H. G., "Matrakçi Nasuh'un Minyatürlü iki yeni eseri". Atti II. Congree International Acta Turca, Venezia, 1963. Venedik, 1965, pp. 283-286. Yurdaydin, H. G., "Matrakçi", Encyclopaedia of Islam, Leiden: Brill, CD version, 2001. Yurdaydin, H. G., Matrakçi Nasuh. Ankara, 1963. "Matrakçi Nasuh" from Wikipedia, the free encyclopedia. Online here. For illuminations see figure 2 for Baghdad, figure 3 for Tabriz, and figure 4 for Diyarbakir.